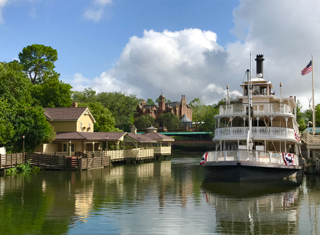 It was a beautiful morning as I walked thru Liberty Square in Magic Kingdom. The water was calm and reflecting, and the sky was blue. It made for a nice landscape photo.